The Cannon County Senior Center is on its way to Cape Cod to spend 11 days enjoying the East Coast. Over ninety folks have made the trip. They have two buses, the pink lobsters and the blue crab bus. 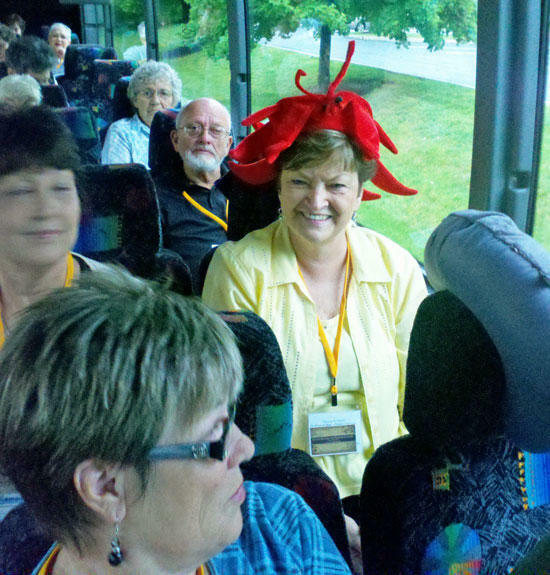 On the pink lobster bus the last person on the bus after every stop must wear the lobster hat untill the next stop. Many have had it on but Sue Patrick was shocked to be the last person on the bus Monday, September 5. She made the hat look good. On the trip they will visit Martha's Vineyard, Plymouth Rock and JFK Museum. For more information about senior center trips call 563-5304 or check out their Facebook page.